If you can think of a place so dark and so disturbed that even being on the property in the day can cause anxiety, this is your baby. 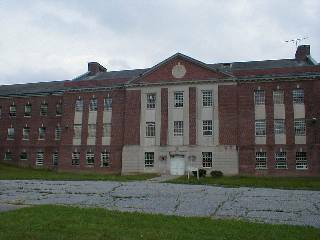 Fairfield Hills Mental Hospital has been closed for many years now but still holds one of the scariest history of any known haunted places. 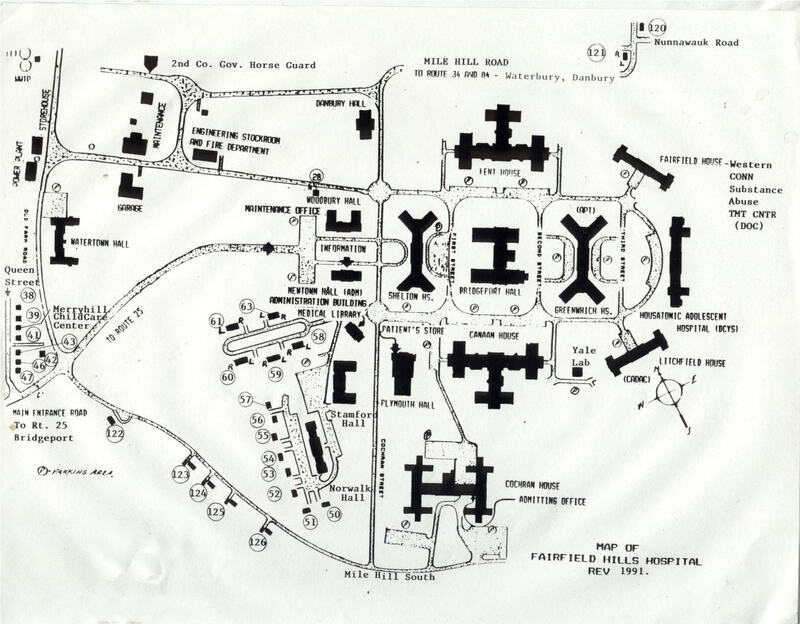 Fairfield Hills is consisted of many “houses” as they call them, or large buildings each with a function in years past. Some for educating, some for recovering and most for restraining. The sheer volume of the buildings make a major statement alone and have a creepy vibe even before going inside. 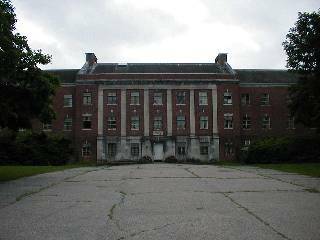 Many of the buildings were used as medical treatment, rehabilitation, psycho wards and even a morgue. was and is a place of hurt and despair. This is where in the late 1800’s, the medical field has begun learning about lobotomy treatment and other various electric shock therapy. It was a place of cruel punishment for those less fortunate of a sane mind. The “hospital” as it is known back then was a treatment or rehab facility to many insane and disruptive patients. 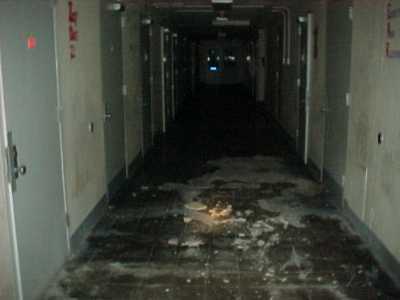 Back in those days, if you had a mental defect or an illness, you were simply locked away in a facility like this. You were left to the cruel experiments of what the doctors felt they can “try out” on you. Many patients died as a result and those are the hauntings we believe are still happening to day. Now, keep in mind, although this hospital has been out of use for many years now, most of the equipment has been removed and vacant, the property still has life growing through it. Actually a few buildings are still used today by AT&T and other select companies. Although only 3 or 4 buildings actually have the resources to sustain a business, while the others are slowly rotting from the inside out. Collapsing walls, mold and ceilings and floors that seem to have unearthed something fierce. The world in here has froze and the eerie feeling lingers through its old chipped paint. The majority of the buildings are locked from exterior entry. The guards have keys and usually do patrol the areas to prevent intruders or vandals. During my visits I have dodged a few of the law enforcement many times but I have had a few “guided” tours as well. To this day I still retained a single master key to the property, although I have heard they may have changed locks awhile back since too many people had somehow got a hold of them. There is no doubt in my mind that Fairfield Hills remains a deeply haunted place but each house has it’s own story. They call each building on the property a house. I think it might have been easy to keep track of and also to make it sound like a prestigious college instead of a torture chamber. Most of the locations can only be accessed by the underground tunnels that you may enter from the guard house across the street from the main entrance. The tunnels act like a spider web below the ground and allow you to easily move between buildings. These were originally designed to be able to transport patients whether alive or dead to various spots easily. It also allows for quick direct access to Yale Laboratory, or simply “the morgue.” Keep in mind the morgue is still very much there today. Although not performing any autopsy’s anytime soon, it still houses the equipment such as the slab refrigerator and the embalming machine hung nicely on the wall.